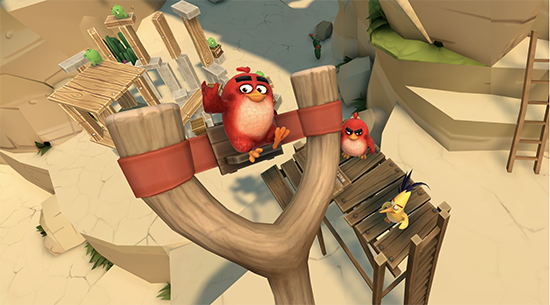 Angry Birds makes its debut release on virtual reality, transporting fans to a remote island where Red, Chuck, Bomb and the Blues face off against their piggy nemeses. Get ready for take off. Resolution Games and Rovio Entertainment (ROVIO) today announced the launch of the new virtual reality (VR) game Angry Birds VR: Isle of Pigs for Oculus Rift and HTC Vive.